best serve the clientele, Dan earned his NRA certifications as a Chief Range Safety Officer and Instructor for Range Safety Officer, Basic Pistol, Basic Rifle and Basic Shotgun. Additionally, Dan has completed the Glock Certified Armorer’s Course and the Glock Certified Instructor’s Course. 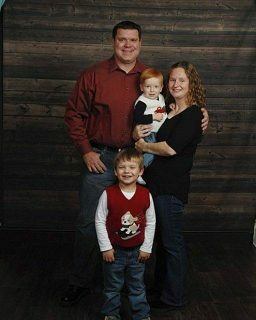 When Dan isn’t working he enjoys spending time with his wife Sarah and sons Chase and Jack. We not only sell reloading equipment, components, and shooting accessories, we use them. You can find us at a range 2-3 time a week shooting IDPA, US ARMS, USPSA or 3-Gun. Dan is a Life Member of the NRA, Georgia Carry and US ARMS as well as an annual member of IDPA, USPSA, and Glock Sport Shooting Foundation.